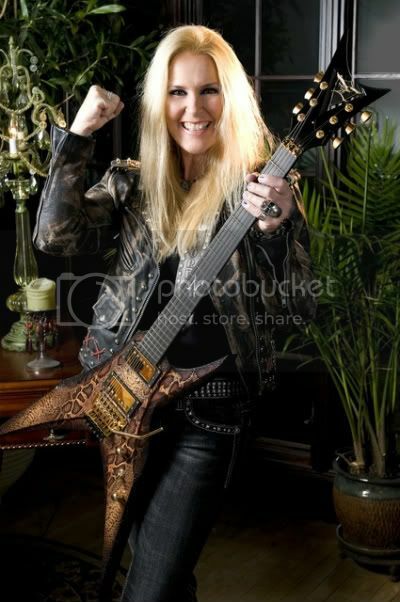 Legendary female metal icon LITA FORD has signed a worldwide deal with SPV/Steamhammer. Her new album, entitled Living Like A Runaway, is tentatively set for a May 2012 release. Best known for her work with THE RUNAWAYS and her solo career, featuring hit singles 'Kiss Me Deadly' and the Billboard charting duet 'Close My Eyes Forever' with OZZY OSBOURNE, Lita is ready to make a return to the throne as the Queen Of Metal. "SPV gets who I am, my work, and what it takes to bring this project to life. I'm very excited to have them on my team," says Lita. Lita spoke about her work with Gary Hoey on the album and the meaning of the album's title: "Gary Hoey and I wanted to approach this record by getting back to basics. We want to strip away all the electronics and plug-ins and keep it to vocals, guitar, bass, and drums. Going back to basics is going back to what punk, metal and The Runways was for me. Living Like A Runaway means freedom and empowerment. To do what I want and to pursue my dreams while answering to no one." SPV A&R Representative/Product Manager Olly Hahn commented on the signing of Lita Ford: "When I bought Dancin`On The Edge back in 1984 I never thought that I would ever sign Lita Ford to a label. But a dream of mine came true and it`s a huge honor for us at SPV/Steamhammer to have one of the leading women in rock n' roll on our label."